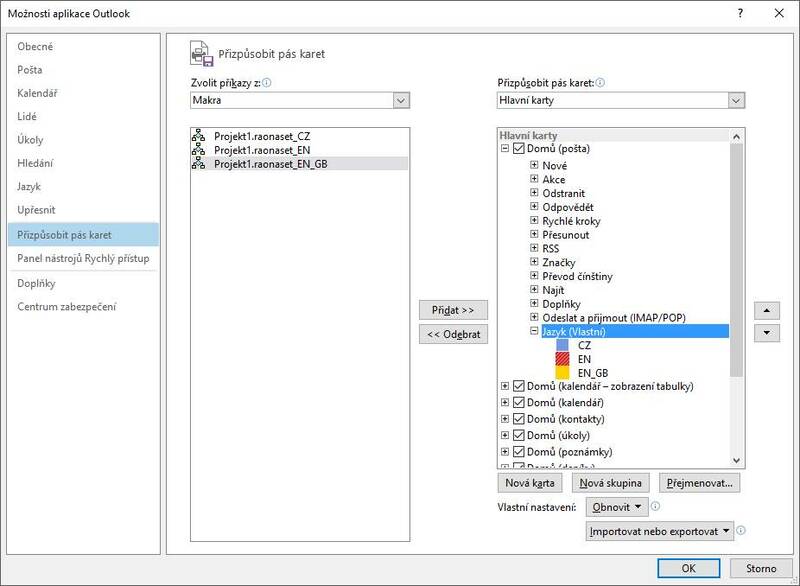 Using the Outlook quick reply (CTRL + R) and the need to change the language grammar checker? Such an option is only on the Review tab > Language, which is visible but only after the message is opened in a new window. There is a way around it, using the macro below. If this guide has helped you, become a fan on Facebook and recommend this site to your friends, it can be useful for them too. We must create a macro to change the language in a quick reply, which will run by eg. an icon. So invoke the programming environment VBA (Visual Basic for Application), I use press Alt + F11. 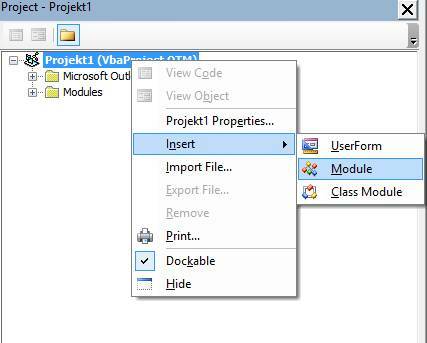 Here we choose to create a new macro (module) as shown, use the right mouse and create new “module”. Inside the text area so called module, that we just created, insert following code, you can copy directly from this site:-). In the code, we see macro to change the language that uses Word for help. 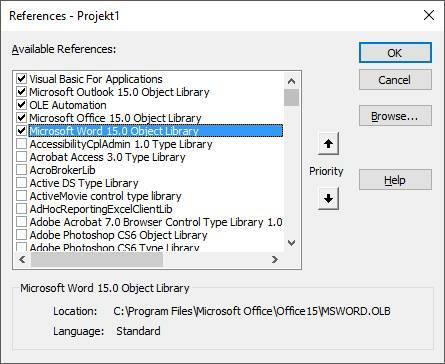 To make the macro work, we must enable support for Word library, which is done in the VBA editor window by Tools > References and find Microsoft Word 15.0 Object Library. There tick, then it should look like the image below. The number 15.0 is intended for release in 2013, use another number specified in the different versions. Now you just need to save it and close VBA editor. To make the macro work the next time you start Outlook, set the macro security warning or a permanent allow. 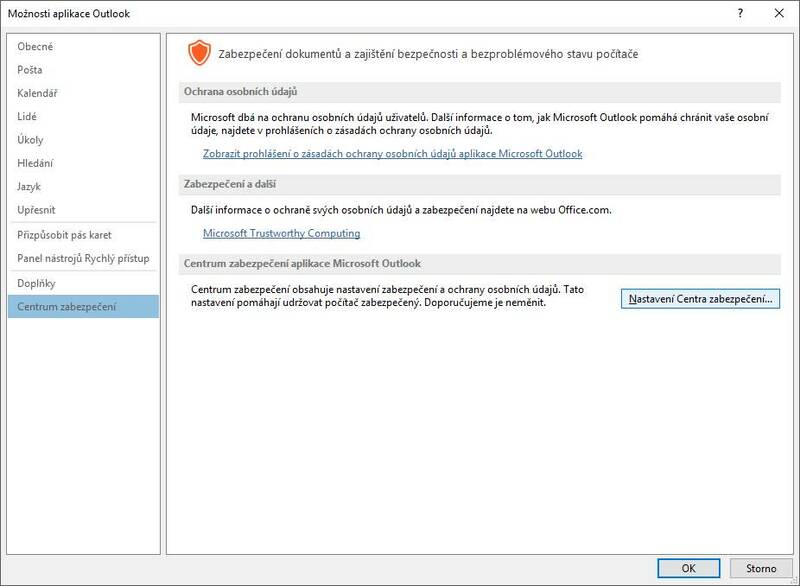 Use Outlook’s File > Options > Trust Center> Trust Center Settings, then enable the macros, or display notifications for all macros to always ask for permission in Outlook. Thus, we should have all set. To start switch the language in the quick reply we put mouse in the reply body and call for specific macro language. In the code I used languages Czech, English (US) and English (GB). To add additional languages, you must know its ID, which you will find in this table. We switch between them by selecting the specific macro example. Alt + F8. Nicer might be to place the icon on the top panel, viz. further. We use the adjustments of the Ribbon. Choose File > Options> Customize the Ribbon. First, use the right side. Expand Home tab and create the new group, place it at the end and name it Languages. On the left side, select a category Macros and add them to the right part to this new group. 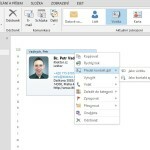 Individual icons for languages can be renamed and changed with image, to do this click Rename. The result may look like the image below. Nejsem odborník, vůbec se v makrech nevyznám, ale místo makra jsem v Možnosti – Přizpůsobit pás karet – vytvořit složku Jazyk pod složku Domů jak je popsáno výše – v levém sloupci jsem si našla pod Karty nástrojů – Nástroje pro psaní (druhý od konce) – Kontrola pravopisu – Jazyk. Toto je teda to co jsem hledala.